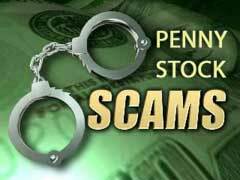 Penny Stock Scams - How To Avoid To Become A Victim? Penny Stock Scams – How To Avoid To Become A Victim? Penny stock scams are all over the place, so how can you keep from falling victim to these frauds and scams? The first step is to know the most common scams out there, so you understand how they work. Gold penny stocks are one sector where these scams are common, in large part because of the high price of gold right now. One of the most common of all the penny stock scams is the pump and dump. In this scenario the fraudulent individuals buy large amounts of the penny stock, and then start hyping it all over the place. As new investors come into the penny stock market and buy shares, the price of the stock goes up. The initial individuals then dump their shares of worthless stock at a much higher price, and legitimate investors are left with losses. Many oil penny stocks are also scams, although it is possible to find a few legitimate ones if you are willing to look hard. To avoid becoming a victim of penny stock scams it is important that you do all of the research on a company, no matter where you got a tip or who told you to buy a certain penny stock. Many of the fraudulent stock schemes out there would not be possible if investors made sure they had all the available information before investing any money at all. Even some of the lists that supposedly include the top 10 penny stocks to invest in could be part or all hype, so that a few get rich on worthless stock at the expense of many investors. Spam and unsolicited emails and newsletters are also commonly used in penny stock scams. To avoid these schemes look at each possible choice, and where the information about the stock came from. Even if you are given a tip or friendly advice by a penny stock advisor that you trust, you should still check it out for yourself as well. Many of the occurring penny stock scams work because an investor does not use due diligence before risking their money by investing.